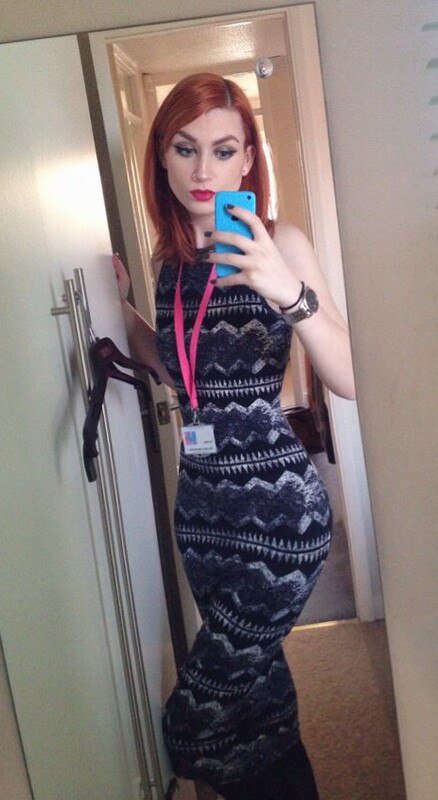 Black flicks, ginger locks, red lips and a bodycon dress. For the first time in a while, I managed to find the time to tackle eye-shadow and liner on a weekday, this morning. I normally compromise for heavy foundation coverage, brows and a bit of contouring thanks to the pre-6am wake-up call. I decided to abandon any attempts of styling my hair and just focus the full half hour on making my face look slightly more ‘human’ than usual today. Blending a No.7 deep green and yellow/green shadow with a golden brown shade from my Naked palette, I then finished the eye look by applying my go-to liner (huge flicks, of course). Teamed with one of my favourite bodycon dresses, which makes me feel really body confident and the red Apocalips matte lipstick – I was actually fairly pleased with this look! 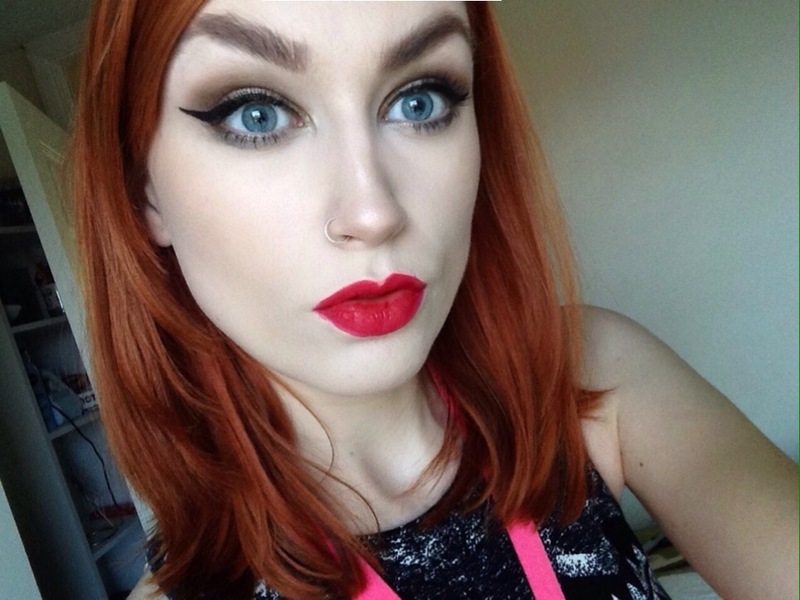 For more make-up posts, stay tuned to my blog and follow, follow, follow! love the nose ring, been thinking of getting one myself lately but too chicken! Thanks! I’ve had it for about 5 years now and don’t think I’ll ever get rid of it 🙂 just part of my face!